Patterns are an important mathematical concept. Kids need to have practice in recognizing basic shapes and colors so that they can get practice in identifying patterns in numbers, tables, and graphs in more advanced math. With a few simple manipulatives, your kids can be having a great time getting their hands engaged in pattern making. 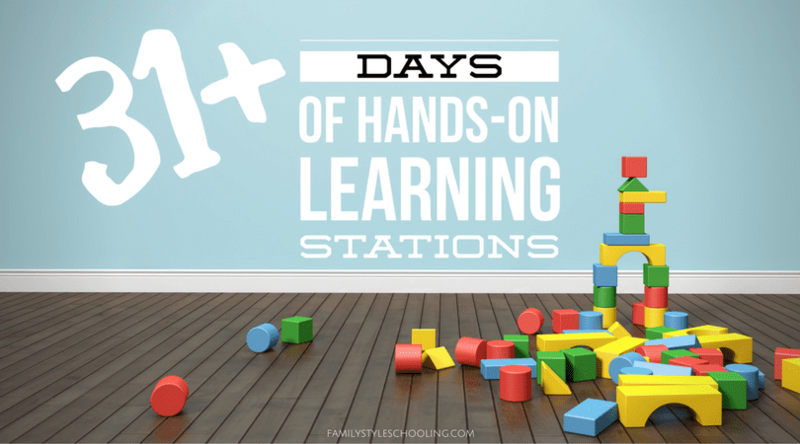 I'm focusing on Math this week in my 31+ Days of Hands-On Learning Stations series, and today is all about playing with patterns. Fractions show a piece of a whole - Dyan uses a wet erase marker to help visualize the fractions on the Legos. Lego Fractions Games for Kids - kids will have fun setting up this fraction game! Activities for Teaching Fractions with Legos - simple ideas for introducing fractions to young ones. Boost the difficulty with Four and More: Mixed Operations with Fractions activity. Use playing cards to add, subtract, multiply and divide fractions. 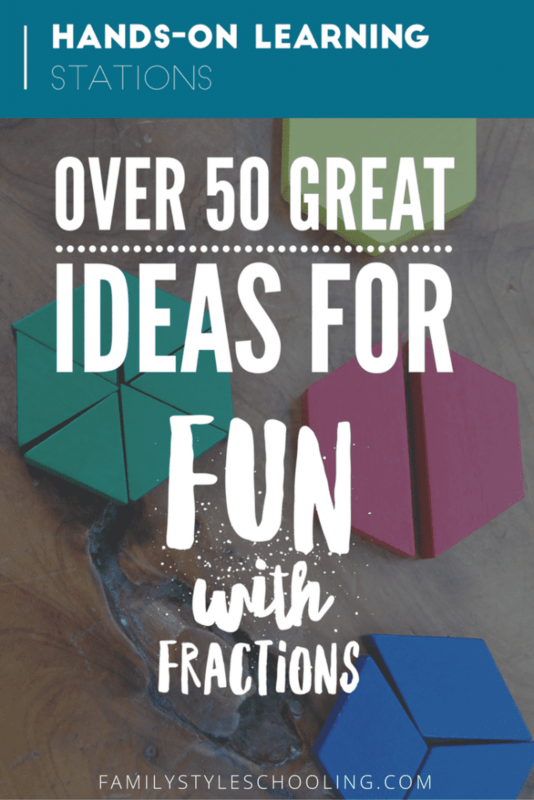 Bump Up The Fun With Fractions! This cute game works for two or more players and has the option of adding fractions with the same denominator, or fractions with different denominators. Equivalent Fractions Missing Numerator Board Game - Use Lego minifigures to travel along the game board as you solve the missing numerator. Fraction Fiasco - Adding and subtracting fractions with common denominators. Fraction Formula Game - Race to make one whole in this 3D clear tube. The game doubles as a math manipulative in further studies. Pizza Fraction Fun - Seven different ways to play, along with varying options for challenges. Fraction City Game - Grades 5 and up will enjoy this adventurous game with adding, subtracting, multiplying and dividing fractions. If you want your kids fluent in combining fractions, give them a game like this! 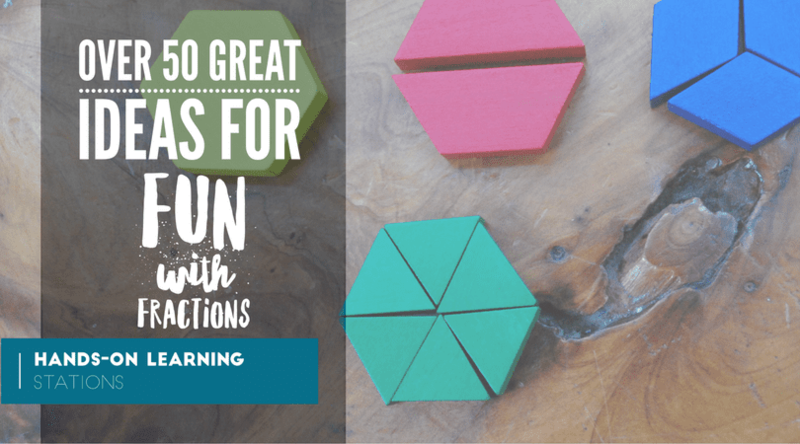 15 Ways to Learn Fractions - from play dough, to cards, to food, there are some excellent ideas here! 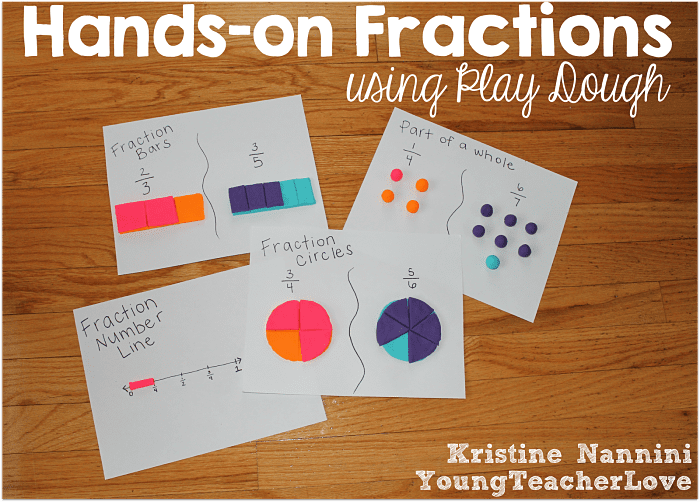 Hands on Fractions - So many cute ideas here. I love the pipe cleaner fractions and pattern block fractions. Books About Fractions - Some really cute fraction books to add to your fraction learning hands-on station. Fraction Anchor Chart and Fraction Freebies - There is an awesome reference sheet here, along with amazing ideas for play dough and fraction play. Download this amazing fraction resource from Kristine at Young Teacher Love. Matching Fractions - I love this different way of looking at fractions. She's using volume of water in clear glasses to compare fractions. How about Musical Fractions? Write music and play with fractions. Kids will love this! Simplifying Fractions Activity - An exciting resource that's free and tasty (skittles not included)! Fractions on a Number Line - This adorable clothes line fraction craft will keep kids busy while they learn about fractions. Froggy Fractions - Another adorable fraction practice printable. Who doesn't like frogs? Make Fraction Flowers with this cute printable and cheap paper plates. Include fraction learning with lunch with Math Fractions at Lunch. How do your kids enjoy playing with fractions? Hi Betsy, your post is very helpful and very effective. You present a lot of ideas about hands-on learning with fractions. This way the learning become so fun that the kids will never forget and makes them want some more. It become so memorable and they will learn so fast. Regarding adding and subtracting fractions, let me also share my idea on how to deal with fractions but I guess this is suitable to higher grades. Adding and Subtracting fractions maybe difficult at first but keeping on practicing will make it easier in the long run. To add and subtract fractions successfully is to make the rules stick to your memory. So I have to mention again the rules here. Use fraction calculator with button from http://www.fractioncalc.com to be sure that your fraction solution is correct.